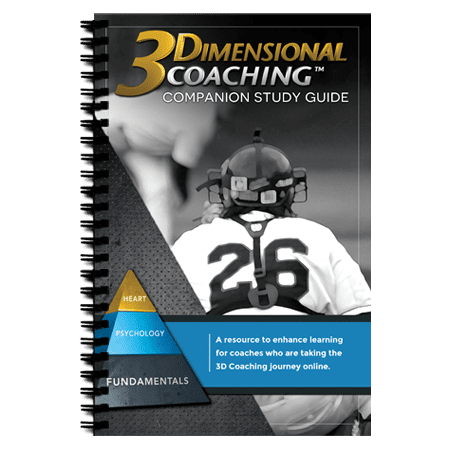 The Companion Study Guide will help you chronicle your journey through the 3D Coaching online training. This spiral-bound book can be used as a journal to take notes as you process through the teaching components. After you complete the course, this tool will serve as a quick reference guide to find key teaching points that were presented throughout the course. The 25 chapters of this book correspond with the 25 online modules. Along with a review of the topic at hand, each chapter provides a series of thought provoking questions designed to help coaches process and discuss the content in small group settings. In a typical scenario, coaches will watch the online video modules on their own time, then get together to discuss the content using the Companion Study Guide.